U.S. 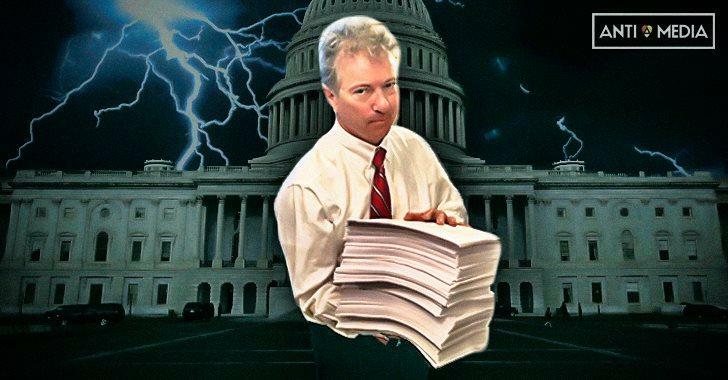 Senator Rand Paul is fed up with Congress’ drunken sailor spending style and looked to challenge the bloated spending package as it reached the floor of the Senate overnight. Despite being given approximately 24-hours to read the 2,000-plus pages of financial waste before a possible vote, the senator from Kentucky decided he would not only read the entirety of the bill (likely the only member of the Senate to do so), which he has repeatedly called “terrible” and “rotten,” but also live-tweeted out the highlights of where taxpayer dollars are actually going. As of this writing, Paul is roughly 500 pages into reading the legislation and has already uncovered a mountain of waste. You can read the senator’s tweets below. This story will be updated as more tweets become available.